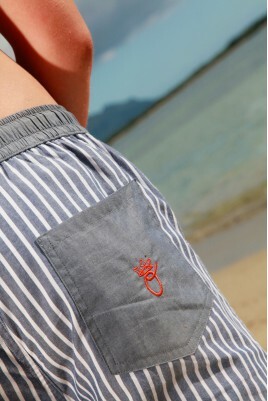 Boys’ Swimwear. Take a look at our range of L’Orangerie swimming shorts for boys aged between 2 and 14. 100% cotton boxer shorts in cotton Oxford, poplin, heavy poplin and cotton piqué. Take a look at our striped, checked or plain-coloured boxer shorts in blue, pink, taupe or chocolate shades… Classic and contemporary chic for swimming with the family …Three cheers for summer! Boys’ Swimwear There are 9 products.